“This is a big step forward,” said Del. Dan Morhaim, the floor leader and a long-time champion of open government and transparency measures. The legislation makes the Public Information Act more understandable, reasonable and fair, Morhaim said. The bill replaces inconsistent enforcement of current law with more standardized procedures for obtaining public records and documents. This includes a new ombudsman in the Office of the Attorney General to give guidance and mediate requests from all levels of government. There is also a new Public Information Compliance Board that will rule on fees that can be charged. The Senate must now act favorably on the House version of the bill. Morhaim said that the Senate committee was kept informed of the House’s work on the measure, including changes requested by the governor’s office. The bill also establishes firmer time limits for responding to public records requests and says that custodians of documents and data can only charge the “actual” costs of the search and preparation of the information. 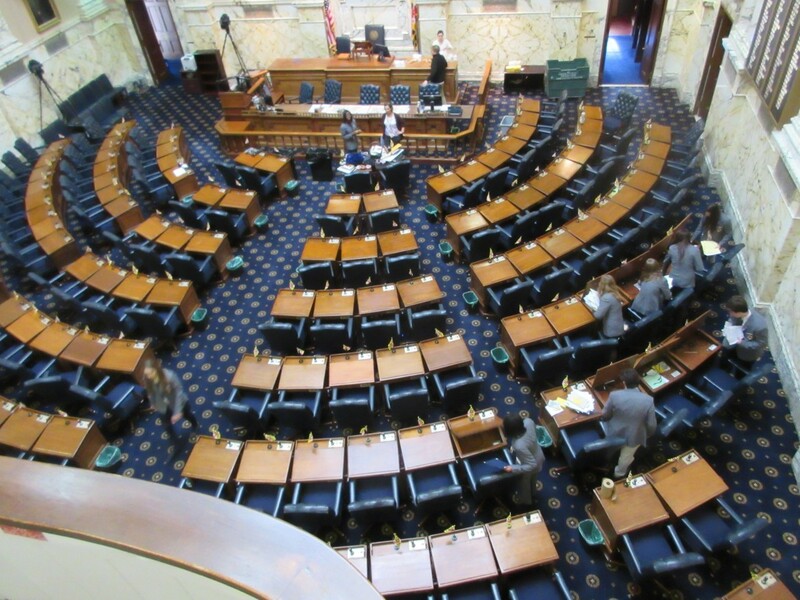 “This legislation is not only much-needed and long-overdue,” said Rebecca Snyder, executive director of the Maryland, Delaware, D.C. Press Association, “but it is also extremely popular,” citing recent poll results. Environmental groups say they are among the organizations that have been stymied by Maryland’s current laws when requesting public information. Provisions of the original bill that covered the reports filed by individual farmers were removed by both House and Senate committees. Del. Christopher Adams, R-Middle Shore, was the sole vote against the bill. He did not speak on the bill. Major changes are in the works for getting public records from state and local governments in Maryland designed to make the process easier, more uniform and less expensive. In a unanimous vote, a Senate committee brought legislation to the floor Monday night that will create a new Public Information Act Compliance Board to oversee fees. It will also establish that those fees must be actual costs to assemble the records — with the first two hours free — and create a new ombudsman in the office of the Attorney General to mediate and offer guidance to all government agencies about requests for public records.